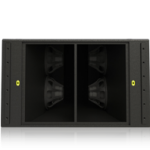 Loudspeakers specifications are complex because loudspeakers are complex. Consumers often want easy, one number ratings to allow for convenient comparison. Unfortunately these one number ratings are often the source of much confusion and even deception. One such rating is the rated impedance. 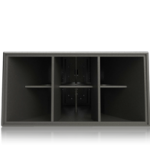 We at Danley publish the impedance curve of each loudspeaker that we build. 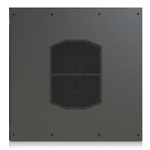 Because there is such a tradition in the loudspeaker market of giving a one number rating to a loudspeaker, we have chosen to rate our speakers as 4, 8, of 16 ohms, which ever comes closest to the minimum impedance shown on the impedance curve. The minimum point is chosen because this is the frequency at which the power amplifier will have to work the hardest to deliver power into the load. However, since we supply the user with the actual impedance curve, the user is able to make their own determination of the impedance based on careful examination of the curve. Another even more problematic specification is the sensitivity specification. Simply put, sensitivity is a measure of the efficiency of a loudspeaker. How loud will the speaker get under controlled conditions? There are many ways to derive this specification. Some manufacturers use the so-called 1 watt /1 meter standard. The problem with using power ( watts) as part of the standard is that it is very difficult if not impossible to control. Remember that Power ( watts) =E 2 / R. As R changes then P obviously has to change. The problem with the 1 watt / 1 meter specification is that frequency is rarely if ever specified. Since impedance changes dramatically with frequency, if you don’t know the frequency, you don’t know the resistance, and therefore you cant really know the power. We at Danley along with a few other reputable loudspeakers companies and at least one independent testing lab have decided to make our sensitivity measurements by setting the voltage to 28.3 (or 2.83) volts at the speaker terminals and carefully monitoring the voltage while sweeping over the operating range of the device and measuring the sound pressure level at a fixed distance, generally at 10 meters. When we use 28.3 volts at 10 meters we will often report the measurement as having been made using 2.38 volts at 1 meter. Once again, the outcome of this exercise is a sensitivity curve rather then a one number spec. At this point we have a choice. We could (as some companies do) choose the point on the curve that has the greatest output and select that number as our sensitivity rating. We believe that a more honest and representative approach is to use the average output and this becomes our published specification. 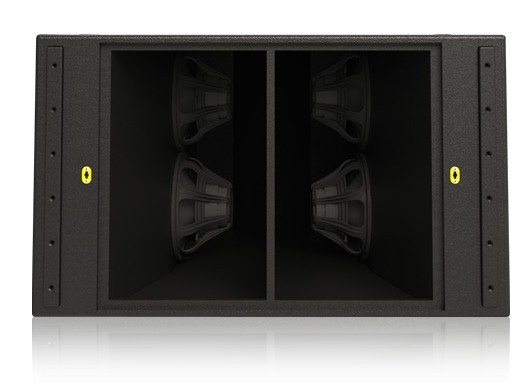 Finally, all of our sub woofers are measured in half space conditions, as are the floor monitors or wedges. 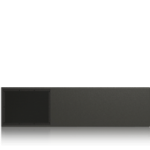 The full range speakers are measured under full space conditions.